Imagine a lakeside-resort getaway without having to go far from home. This dream is emerging now. Bayside will be a vacation paradise on Lake Ray Hubbard in Rowlett, Texas. Escape for a day, a weekend or the rest of your life in our lake-oriented community nestled in the heart of North Texas. An ideal setting for families and businesses, Bayside features an eight-acre Crystal Lagoon with an amazing state-of-the-art show fountain, over four miles of lakefront trails, an open-air trolley and a Town Center Park; offering the ultimate resort lifestyle. Experience miles of shoreline on Lake Ray Hubbard’s relaxed mixed-use destination. This natural setting of expansive green spaces and countless outdoor recreational activities includes sailing and boating from the newly renovated Bayside Boat Club. You will also enjoy extensive running trails, native gardens, parks, beaches, and extreme sport venues for kiteboarding. Celebrate special occasions with family and friends at the casual, one-of-a-kind restaurants all a short walk away from our newest properties. Spend an afternoon wandering through boutique shops, or just sitting outside a café watching the world go by. 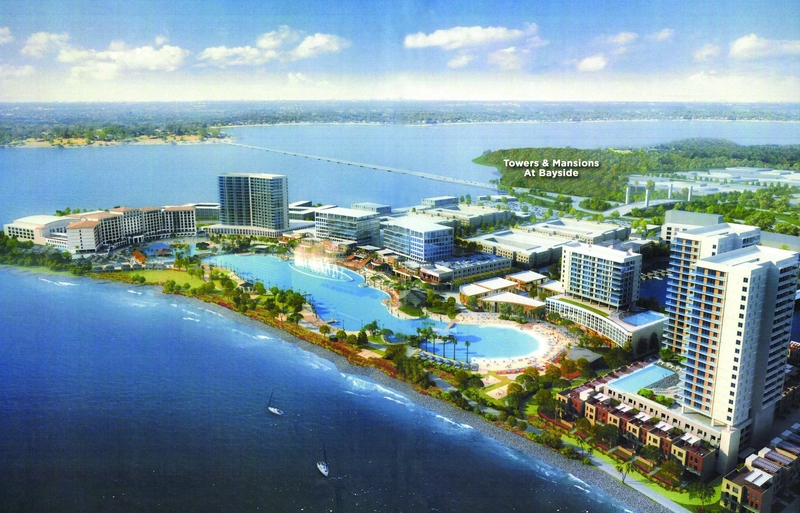 The Bayside area will also feature state of the art water feature by Crystal Lagoons. Crystal Lagoons has developed a pioneering, innovative, and environmentally sustainable technology that has been patented worldwide, which allows crystalline lagoons of unlimited sizes to be built and maintained at very low costs anywhere in the world, using minimal amount of chemicals and energy. - It uses up to 100 times less chemicals than conventional swimming pool or drinking water treatment technologies. - It consumes only 2% of the energy needed by conventional swimming pool filtration systems. All of these awe-inspiring Bayside amenities are features of our two latest communities, The Towers and Mansions at Bayside. The Towers at Bayside will have 392 units, and The Mansions at Bayside will have 448 units. Both of these communities are Energy Star Certified Apartments and will save costs on utilities by being environmentally friendly.